The Camera Glove is tethered to a small monitor, watching. 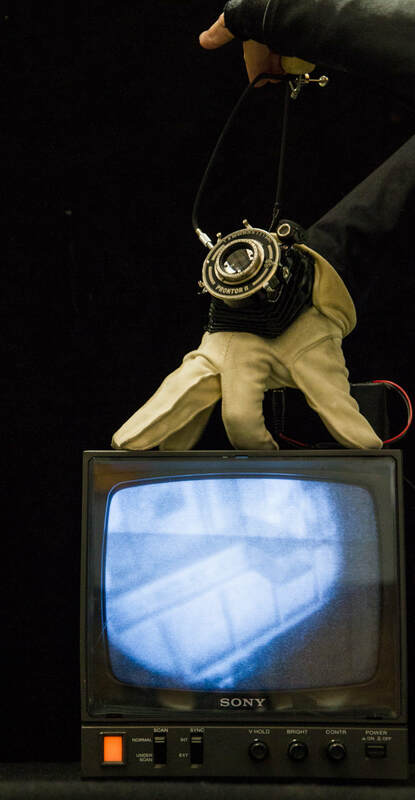 The monitor displays a live feed of what the glove sees. The glove is exquisite in detail. The image is blurred and monochrome. Seeing You proposes that the camera used within a surveillance has feelings. This could prepare us towards a future when a camera will feel. ​But until such a time, puppetry can suffice.